Land Rover Discovery Sport Review 2019 | What Car? You might equate the word Sport to high-performance or, at the very least, racy looks when it comes to cars, but there are a few notable exceptions to that particular rule. 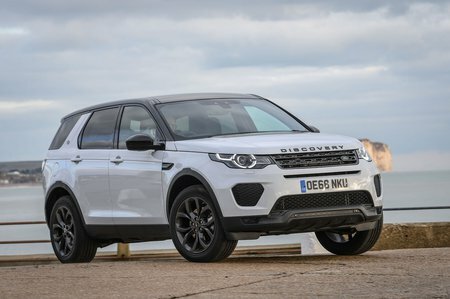 The Land Rover Discovery Sport is a prime example, offering those that crave a full-sized Disco a more compact and affordable alternative. Peer beneath the skin and you’ll find the Discovery Sport actually has more in common with the Range Rover Evoque than to its big brother. 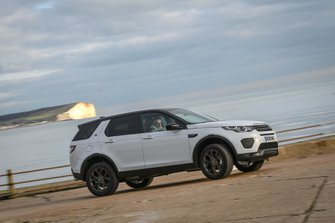 However, where the Evoque focuses on coupe-inspired styling, the Discovery Sport has boxier lines to create a more spacious interior for families. Not only is there plenty of room for five, there’s also the option of a seven-seat version for maximum practicality. While the majority of models are four-wheel drive, the entry-level diesel is available with – shock horror – two-wheel drive to help lower emissions and improve fuel economy. If you’re looking to ditch diesel, a couple of petrol engines are available, although they are positioned towards the more powerful (read expensive) end of the spectrum. We’d therefore recommend having a good, hard look at the range of diesels as they’re cheaper to buy, more fuel-efficient and their low-down shove suits a chunky SUV. However, don’t forget that you can get similar-sized or bigger seven-seat rivals with more equipment for similar money if you’re willing to settle for a more mainstream badge – The Kia Sorento, Skoda Kodiaq or Peugeot 5008 shouldn’t be overlooked. Read on for everything you need to know before buying a Discovery Sport, including which version to go for. If you are ready to pull the trigger on one (or one of its rivals), might we suggest you look at our New Car Buying pages? Not only will you get a great deal, you avoid all the bothersome haggling, too.